Emerging Trends in Teaching and Learning in Higher Education and Employ-ability: Evidences in the Context of Saudi Arabia. TRENDS TOWARDS NEW ECONOMIC UNIONS IN ASIA . Books submitted in April-August 2019 will be published online with discount in publication fee. Last date to submit your book is August 31, 2019. Books accepted will be published online with ISBN within three months. 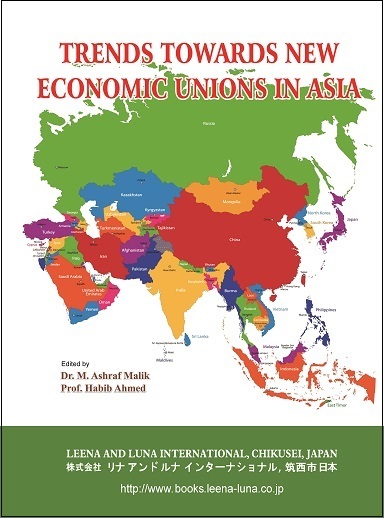 "Trends Towards New Economic Unions in Asia"
Last date to submit book chapter is August 31, 2019. "Trends Towards New Economic Unions in Asia" will be online on August 31, 2019. "EMERGING TRENDS IN TEACHING AND LEARNING IN HIGHER EDUCATION AND EMPLOY ABILITY IN SAUDI ARABIA" by Dr. Abdulmonem H. Alzalabani & Dr. Reji D. Nair will be online in August 2019. "EMERGING TRENDS IN TEACHING AND LEARNING IN HIGHER EDUCATION AND EMPLOY ABILITY IN SAUDI ARABIA" by "Dr. Abdulmonem H. Alzalabani & Dr. Reji D. Nair" will be online in August 2019.